South Australia has an incredible coastline for sea kayaking. Phil Doddridge the owner of Adventure Kayaking SA recently conducted our first Sea Kayaking Introductory course consisting of off water information sessions, on water skills and safety training and an over night journey to Wardang Island off Pt. Victoria on Yorke Peninsula. This course was a first for AKSA although Phil has conducted many sea kayaking courses for other providers over the years. This was a full on month of on and off water fun and challenge. Sea kayaking is such a great way to stay fit, young and eager to take on that next challenge; be it a short paddle along the beautiful Adelaide coastline or a challenging multi-day kayak expedition.It is important to develop sound kayak control and recovery skills and awareness of the dangers of the coastal environment. Sound planning and training can prevent misadventures. Although all of our course is covered somewhere on the “web” with great information there is a lot of dangerously bad advice out there too. You need to know the difference and the best way is to be trained by accredited professionals…like the AKSA team! The journey to Wardang Island was the highlight of training. Wardang and Goose Islands lie about 12 Km off the coast of Pt. Victoria on Yorke Peninsula. As a first overnight sea kayaking journey you cannot find a better https://zolpidemsleep.com location. The trip out to the island is mostly sheltered by Point Pearce and then several small islands. For challenge there is a small section of open water to produce more challenging paddling and even catch a few small waves. Once on the island we were lucky enough to gain access to a hut owned by Scotch College to shelter from the wind, prepare meals and share a drink while mulling over the days paddling and future plans. The islands and surrounding coast are home to a diversity of life. Numerous seals were sighted on the rocky coastline and thousands of sea birds nest nearby. This was an experience to remember…can’t wait for the next one! The course also involved learning the very impressive skill of Eskimo rolling where the latest training methods are applied to this ancient art developed thousand of years ago by the Inuit Indians of the arctic regions. The skill of eskimo rolling involves righting a capsized kayak without exiting the boat. Our course use the latest instructional methods that gradually introduce the specific movements of the rolling action. The course consists of 2x90 minute sessions. Only the first session is shown as available on this booking system, when you book you will be automatically added to the second which is the following Thursday, same time,same place! 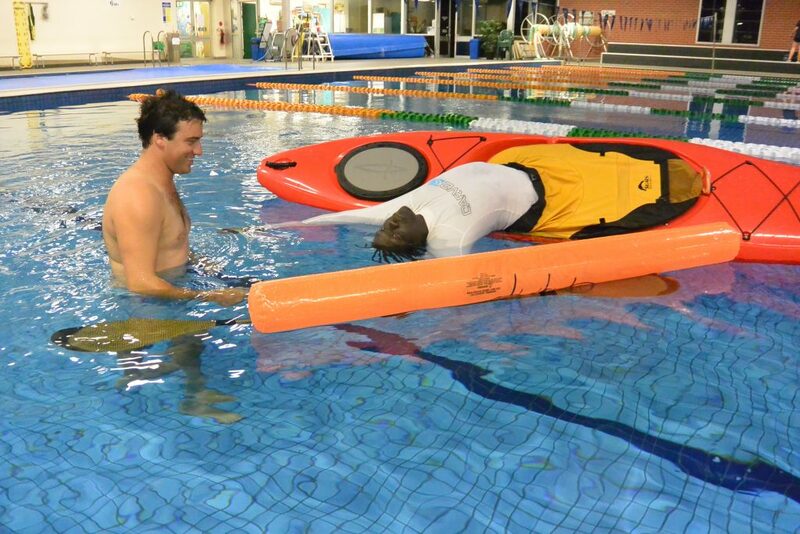 The session is conducted using one kayak between two people for safety and to facilitate successful training techniques...best to book with a friend to learn with! We will do it all again beginning mid September 2016.